So here is my little soccer star! My little niece all dressed up in her soccer dress all ready to cheer on the Polish soccer team! The way this little girl is active it is just a matter of time before she becomes my future soccer star! 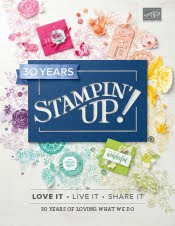 Most of the products are not SU except for the star punch, baker's twine, cardstock and the Real Red Patterns Patterns and Celebrations Designer Series Paper. Need to do a page someday when she actually plays soccer and use this photo too.